Richard B. Gartner is a seasoned psychologist/psychoanalyst who has worked therapeutically with sexually abused men for over three decades. He is a clinician, advocate, teacher, lecturer, and nationally and internationally recognized expert on the subject. Dr. Gartner’s classic book, Betrayed as Boys: Psychodynamic Treatment of Sexually Abused Men, is one of the few written to guide clinicians. Now, nearly two decades after writing that groundbreaking volume, he follows up on his earlier work. 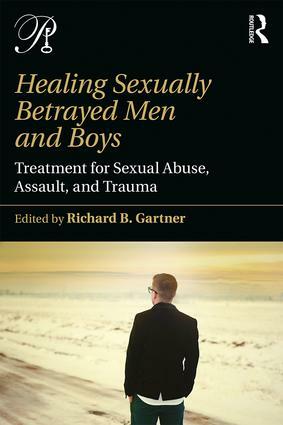 Healing Sexually Abused Men and Boys,together with its companion volume, Understanding the Sexual Betrayal of Boys and Men, is a thorough, comprehensive guide to learning about and healing male victims and survivors.